Last week the world was riveted by scenes of smoke and flames as fire consumed the thousand-year-old timbers supporting the roof of Paris’ Notre Dame Cathedral. Yet amid the sadness and the sobering images, we can find important lessons about innovation. 1. Innovation can arise in response to upheaval. Sometimes innovation is planned — strategically determined and charted. At other times it comes upon us out of unexpected circumstances. For Notre Dame, the catalyst is a fire. For companies, it may be a startling economic downturn. Or a key supplier is struck by a natural disaster, upsetting a supply chain. A competitor becomes stronger, or weaker. Upheavals in normal business operations can generate a need for a quick and innovative response. Leaders must be ready for both planned and spontaneous innovation opportunities. 2. Tragedy can bring opportunity. While no one can be happy about the destruction at Notre Dame, the nearly $1 billion in donations raised in a matter of days means that the cathedral’s rebuilding efforts will be funded at more than five times the former restoration budget. There is talk of an architectural competition for alternative roof designs (surely to spark a spirited debate among traditionalists about the most famous Gothic structure built more than 850 years ago). 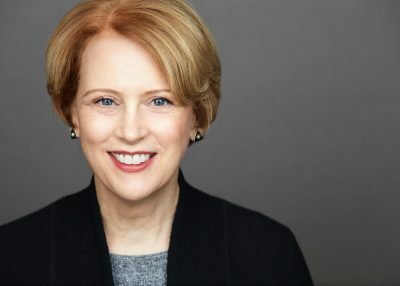 The fire also generated the opportunity to reflect on the value of culture, and created a global community of those who felt connected to the Cathedral in some way. The memory of nearly losing this cultural treasure means that its value will be uppermost in the hearts and minds of people worldwide for decades to come. 3. Luck often plays a part. In spite of the devastation, not a single life was lost in the fire (although it was reported that one firefighter was seriously injured). Sixteen copper statues of the 12 apostles and the four evangelists had been removed for restoration just a week ago, saving them from what likely would have been complete destruction. 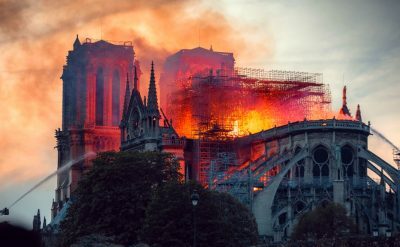 The fire also did not reach the towers, where the iconic stained glass rose window would likely have been destroyed once the heat melted its lead lattice. Plus, within the last decade historian Andrew Tallon completed detailed laser scans of Notre Dame, using technology unavailable only recently. Yes, we are saddened at the loss, but as seasoned innovation executives will admit, there are often forces of luck that influence outcomes both positive and negative. Your challenge for the week: Consider how prepared you are to take advantage of innovation opportunities that may arise from unexpected events. Can you be nimble and responsive in the face of upheaval? 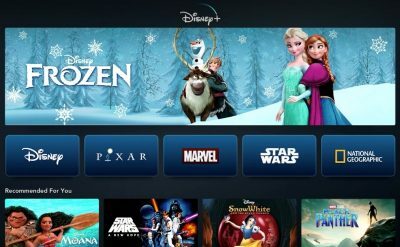 Last week’s announcement of the new streaming service, Disney+, shifted the power dynamic in online media, and former innovation partners Disney and Netflix are now competitors. The contours of their new relationship will be intriguing to watch, as these two giants battle for customer screen time, wallets, and loyalty. For years Disney made hundreds of millions of dollars from content on Netflix and it hinted for nearly two years that this move was coming. Its new competitive service, which will launch in November 2019, will be priced at $7/month — about half of what Netflix charges. Disney’s catalog is a formidable challenger. In addition to the countless Disney classic movies are the award-winning Pixar films, the Marvel and Star Wars franchises, and National Geographic shows. There will also be synergies with ESPN and ABC, which Disney owns, along with the 20th Century Fox holdings it absorbed earlier this year. An estimated 500 movies and 7500 television shows will be available by the end of the first year, including the first 30 seasons of the fan favorite, the Simpsons. What innovations will Disney bring to the customer experience? In addition to competitive monthly pricing, Disney will offer a discounted year-long subscription for about $70, locking in subscribers and boosting cash flow. Plus, we can expect some creative tie-ins from its theme parks and other parts of the Disney-verse. Disney doesn’t want customers to completely abandon cable (or at least ABC) but it is also hedging its bets on a future when customers buy multiple viewing packages. Don’t count Netflix out, of course. They have demonstrated their innovative agility in the past by pioneering the move to streaming and strong leadership in original programming. What both companies are counting on is that customers will find their offering compelling — but perhaps not at the expense of the other. Netflix has 139 million subscribers around the world, and millions more who are piggybacking on a shared password. Similarly, Disney is a global brand stretching across multiple media outlets. Both companies will need to remain nimble to respond to cultural trends, as well as additional competition from Amazon, Apple, and AT&T. The battle will be a showcase for which company can fuse creative output with engineering talent and disciplined execution. It will play out in our living rooms and on our laptops, tablets, phones, and whatever new devices emerge in the next few years. Your challenge this week: If a key partner became a competitor, what capabilities would you call upon to rise to the challenge? It’s 8:30 on a just-turned-Spring morning and a former colleague is about to take part in one of the most stressful experiences of his life. He’s sitting in a spacious vanilla-colored classroom in downtown Chicago, armed with four pencils, a bottle of water, a small pencil sharpener, and no other electronic devices. He’s nervous but excited. The moment has arrived. My colleague is taking the Law School Admissions Test or LSAT. This half-day intensive exam assesses reading comprehension and logical reasoning, and it is an integral part of law school admission in the United States. These LSAT scores will determine the caliber of law school he will attend — and by extension, will also influence future professional and life opportunities. The stakes are high, but he’s ready. He’s been preparing for more than half a year. The mental preparation was only part of his rigorous training, however. He also started getting more fit by working out at the gym more regularly, paying closer attention to his diet, and getting more sleep. Each day, staying focused on the goal. While the physical preparation was key, another element was the mindset. “I wanted to be prepared to handle the nerves, and really deliver what the exam asks — to make reasoned, logical decisions under extremely tight time constraints,” he says. Now, with the testing complete, the waiting begins. In a few weeks he’ll know his scores and then face new decisions about how to proceed. 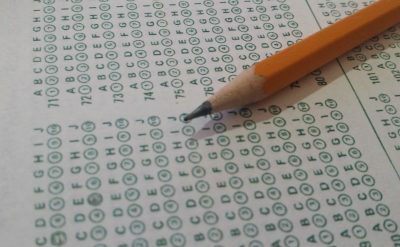 Chances are you’re not taking an LSAT anytime soon. But you likely are facing some major project deadline or important decision in the next six months. Let my colleague’s discipline inspire you. How are you preparing for that moment in mind, body, and spirit? Your challenge this week: Review the major decisions or events that you will undertake in the next six months. How can you best prepare to face them? 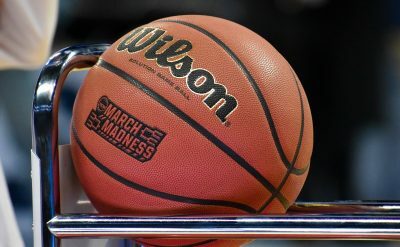 Even if you’re not a basketball fan, it is compelling to watch college teams from around the nation get paired, then eliminated, to compete for the NCAA Men’s College Basketball Championship. The trip to the Final Four matchup next weekend has been filled with memorable moments. The tournament also illustrates three important lessons for innovation teams. There are many superb talents on each of the teams, and their abilities are impressive (here’s looking at you, Zion Williamson and RJ Barrett of Duke, and Jarrett Culver of Texas Tech). Players can traverse the entire court in a few strides, and others can nimbly dodge around the most persistent guards. Winners, however, consistently demonstrate their ability to be aware of their teammates’ positions on the court and pass the ball to the player who has the best chance of scoring. Some of these plays are so well executed that it looks like choreography to a novice viewer — and it is a delight to watch. Lesson #1: Is your innovation talent positioned to leverage the strengths and opportunities of each member while working as a team? The 30 games (on average) that each college team plays during the regular season gets them to the tournament. None of those earlier games matter, however, when it comes to a playoff game. Winners understand that what got them there doesn’t matter if they can’t execute to the very end. In fact, in several of the matches leading to this year’s Final Four, winners were decided in the final moments of a game. The biggest upset was top-seeded Duke falling to Michigan State by a single point in the game’s last seconds. Lesson #2: What can you do to ensure your innovation projects don’t get derailed just as you’re ready to cross the finish line? Each team that makes it to the NCAA men’s college basketball playoff (64 to begin, then whittled to 32, 16, 8, and the Final Four) has a distinct personality and style of play. To advance through the championship, each team must play to their strengths while adapting defensively to their opponent. This year’s championship has illustrated how favorites can be dethroned by teams who can better respond to new situations. The result has been the rise of some underestimated teams who will now play in the Final Four and on to the championship game. Next weekend’s final playoffs will feature Auburn and Texas Tech (both there for the first time), Virginia Tech (first time there since 1984), and Michigan State (a two-time previous champion). Lesson #3: How responsive are your innovation teams to the inevitable changing conditions of your organization’s demands? Whether you’re a b-ball fan or not, there’s beauty in these games, and valuable lessons to glean from this competition. Your challenge this week: Review your innovation efforts from the perspective of team, execution, and responsiveness. What lessons might you learn from the Final Four? Innovation thrives on constraints. Ideas that are bounded can flourish. Creativity blossoms when parameters are defined. When I share this thinking with innovation clients, they often shake their heads and say, No, Terri, you don’t understand. We’d be fine if only we had… more budget, more time, more people, more support. But unlimited resources can be the death of new ideas. When anything is possible, where to begin? We could do this. Or that. Or maybe even that. A wide-open playing field can be terrifying — and stifling. A painter is bounded by the size of a canvas. A playwright has a three-act structure. A musician has 12 notes. While these parameters can be adapted for artistic license, creative professionals understand that these restrictions provide an important launchpad for expression. When designers take on a project for a client, the first order of business is to prepare a creative brief. This document captures the goals and boundaries of the project. For example, a client says they need a website. OK, the designer replies, let’s talk about the parameters. What will be its intended result? Who are the targeted visitors? Will you be the only one contributing content? Who will be managing it? 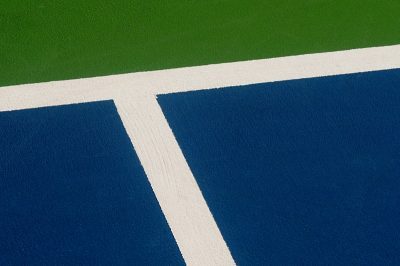 Does it need to fit in with existing brand identity? Will you be doing e-commerce from this site? What budget has been allocated to this project? Have you established a timeline? All these questions, and many more, take an amorphous idea — we need a website — and transform it into a project that can be planned and executed. Similarly, innovation projects that begin with wide-open brainstorming — let’s get everyone in the room and see what emerges — can bring frustration and disappointing results. In contrast, approaches such as Outcome-Driven Innovation focus on customer value creation and clearly defined measurable results. Asking “What do you want this to do for you?” has become one of my most important early questions when working with clients. It signals: Let’s get clear on what you want to achieve, and what the boundaries are. Then we can creatively move forward. The next time you find yourself lamenting the fact that you don’t have a resource — whether time, money, staff, support, or something else — reframe the situation by thinking like a creative professional. How can this balance of innovation and constraints spur you to be more creative? My challenge for you this week: Review the limitations you perceive in your work in a new light. Wear the hat of an artist or designer and gain inspiration from constraints. How did Jeff Bezos make one of the most important decisions in his life? His approach can be adopted by innovators in every field. In the early 1990s Bezos, founder and CEO of Amazon, recognized the potential of the emerging tech development called the Internet. At the time, he was working at a New York City quantitative hedge fund, a type that uses algorithms and data-intensive methods for making trading decisions. It was a stable and lucrative position, with hefty annual bonuses. But Bezos had an idea for starting a company that would sell books online. He was looking for a framework that would help him decide which path to pursue. Should he stay or go? In retrospect, we can all say his decision to leave and start an internet company was a great one. Look at what Amazon has become and how Bezos is now the wealthiest person in the world. Rewinding the clock, however, makes us realize that the decision was not so clear back then. How did Bezos — a self-described nerd who based his entire career success on quantitative data — decide to make the move? I learned about Bezos’ framework many years ago, and it has guided several big life decisions for me, including returning to school to get a PhD at the age of 49, taking several high-profile academic positions, and relaunching my consulting firm last Fall. Regrets minimized. 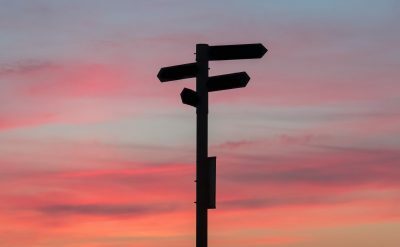 My challenge for you this week: Review the big decisions you might be facing and consider how the Regret Minimization Strategy may work for you.